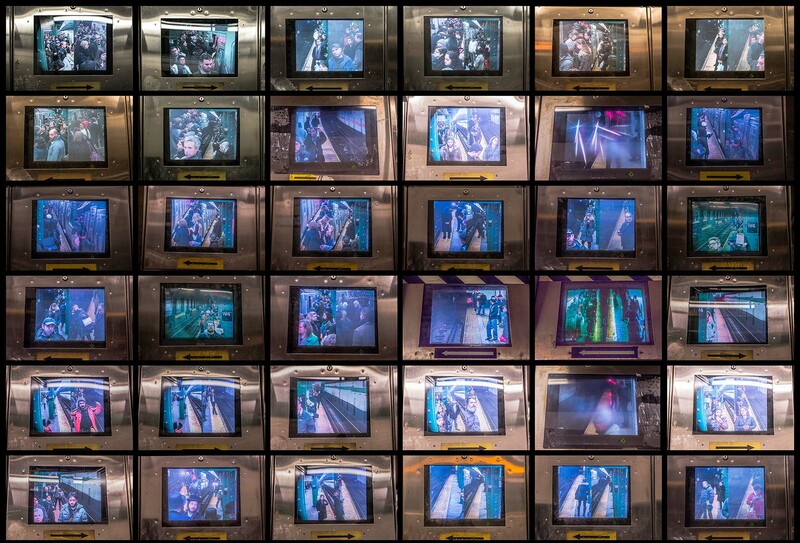 While photographing for the Sub/Culture project, I got curious about the video monitors hanging above the platforms. These are for helping the conductors see the far ends of the train before closing the doors, but they look like surveillance apparatus. The noisy picture quality and battered metal helps, lending an air of Eastern Blok brutalism. 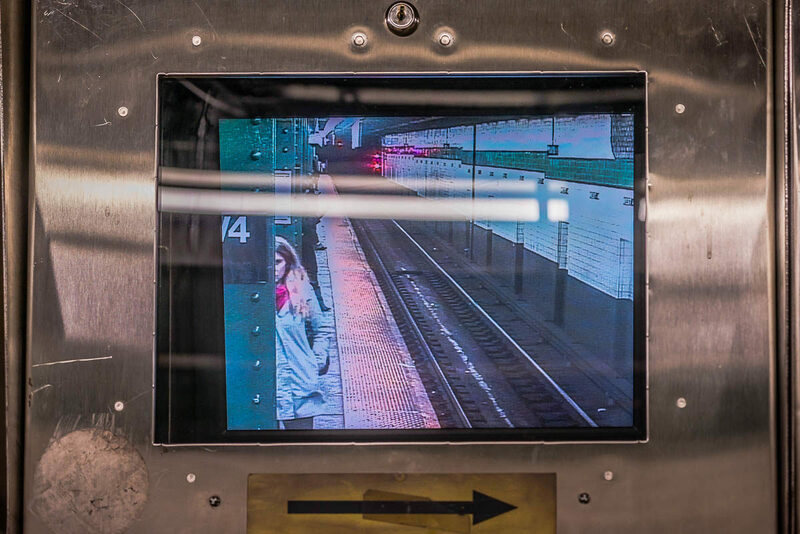 I decided to loiter and photograph the monitor images, catching passengers from a much deeper blind of anonymity than what’s offered by a regular camera. It takes an unusual degree of creepiness to get anyone’s attention on the NYC subway. I managed to cross that threshold more than once, inspiring cops to approach and ask What Exactly I was Doin’. Happily, the answer bored them and they left me alone afterwards. 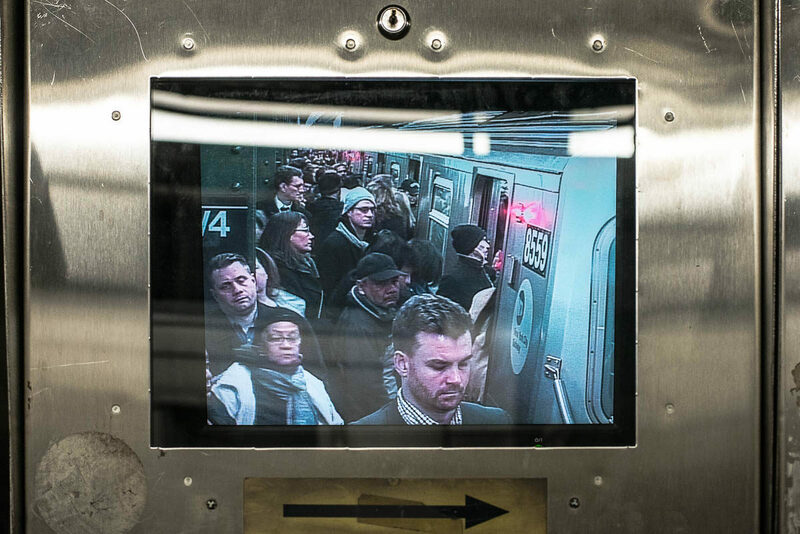 But I think the general creepiness of surveillance and voyeurism haunts these images, emphasizing the uncomfortable power imbalance of the subject/object relationship typical in street photographs. 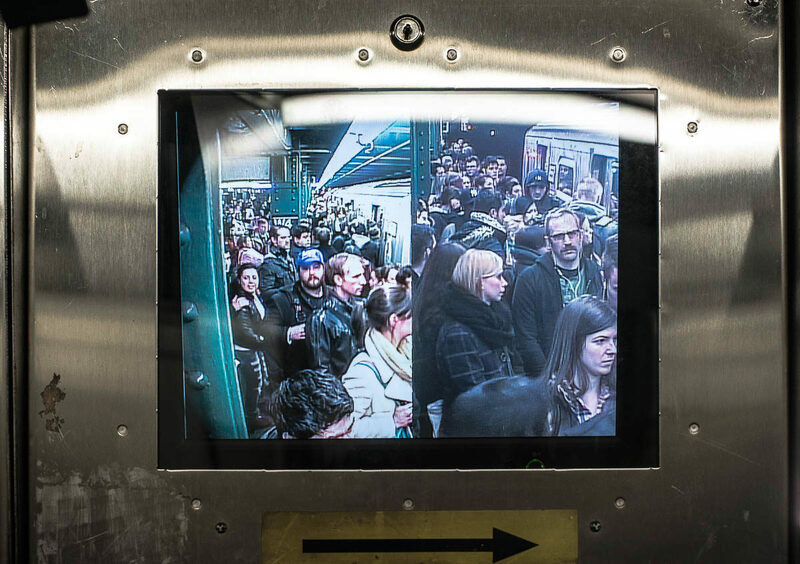 This seems to come though even though the lousy video quality helps mask the identities of anyone in the frame, and even though the pictures capture only utterly banal public moments. The monitors with the split screens add a layer of odness. The juxtapositions may be random, but our imaginations aren’t easily satisfied by such a dull explanation. 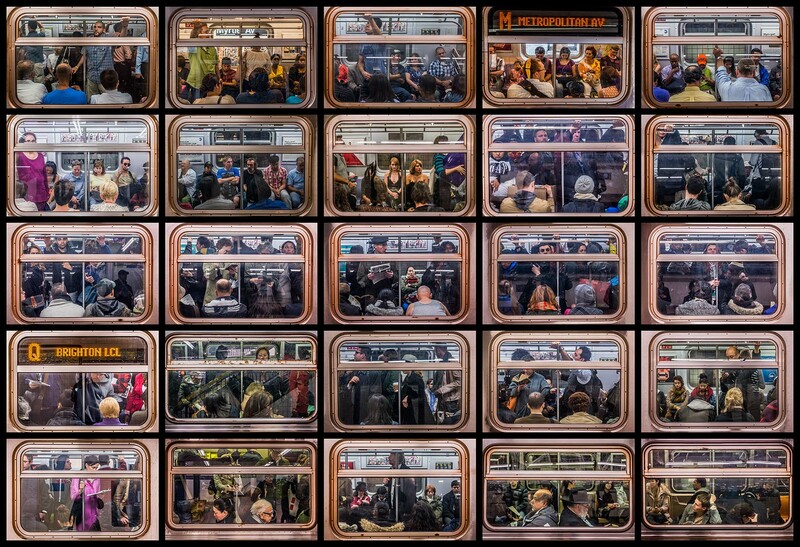 Nice set of images. Good to hear you were allowed to continue.